Invite Your Friends to LIKE GFWC’s Facebook Page! Clubwomen are always there to help, so let’s help spread the word about our organization! An easy (and free) way to spread the word is through social media. Use the power of Facebook to share our story! 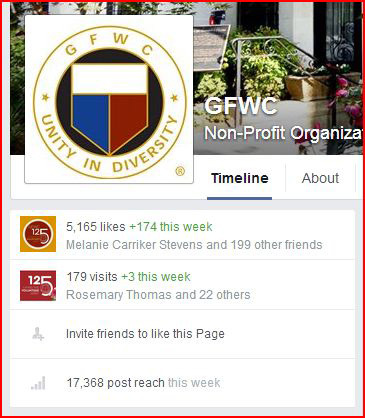 GFWC’s Facebook page hit 5,000 LIKES last week. Let’s double that by Convention in Memphis (June 12-15)! How do I ask people to “LIKE” our page? Here are a few easy steps. 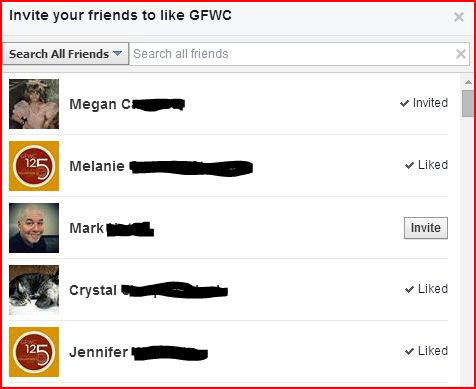 2 – Click on the “invite friends” and a pop up will appear with a list of your friends. 3- Click on the “INVITE” tab and you are finished! You can select the friends on your list that are GFWC members, or people that you know support your club and all that you do. They will receive a notice in their notification “world” that you invited them to like a page. You will also be able to see which of your friend have already “liked” the page. 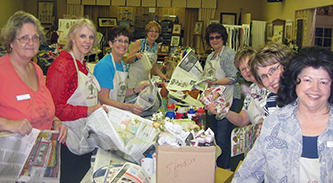 Share your love of GFWC with all of your friends! With a rich background and 43 years’ experience, GFWC Secretary Suellen Brazil is a dynamic leader whose dedication and passion are unwavering.